Polyzellus is a fungi that belongs to the Thelephoraceae family, also known as leathery earthfans. 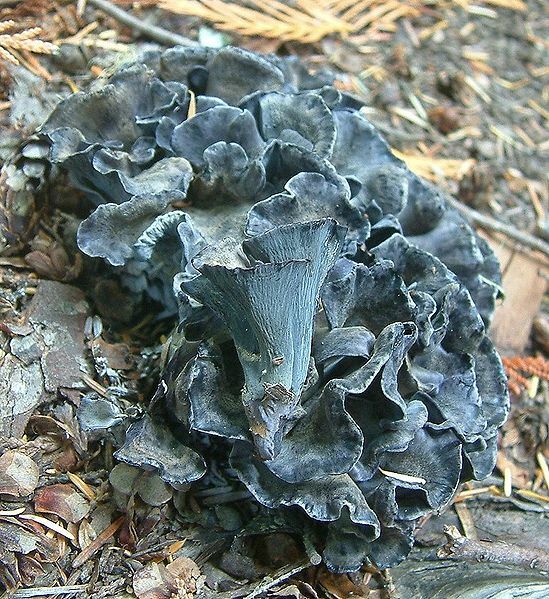 This genus only contains a single species, called the Polyozellus multiplex, also known as the clustered blue chanterelle, blue chanterelle, or the black chanterelle (Alaska only). This fungus is quite distinctive, causing a lot of variations in taxonomic history. This Polyozellus multiplex was first scientifically described in 1899. 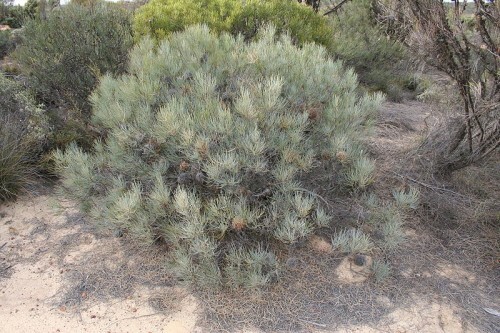 Since then, it has been reclassified at both family and genus levels. The distribution range of the fungus includes eastern Asia and North America, where they are found growing on the ground at coniferous forests, usually under fir and spruce trees. It is an edible species that has been harvested for commercial purposes. Although the Pollyzellus multiplex does belong to the leathery earthfan group, it also is under the cantharelloid mushroom group. 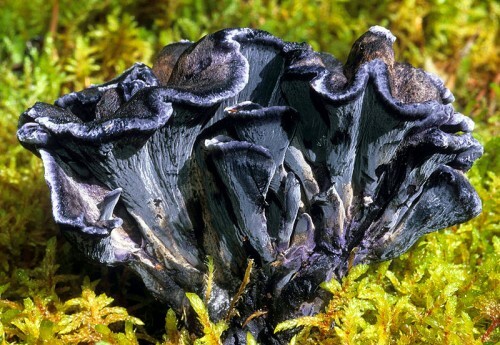 This is because they have similar fruit body structures and spore producing regions similar to others in the group such as the genera Craterellus, Cantharellus, and Gomphus. Individual caps are 3 to 5 cm wide. The caps are a violet black that have white edges. The surface has a white powdery accumulation of spores that have been deposited. The upper surface of the cap may be zonate, which means that they have an area that has many fine hairs which are lobed and wavy. The underside is shallow and has many veins or crowded wrinkles. Colour variation has been recorded, such as those from Alaska that are jet black on the top and have a dark grey underside. The fruiting bodies can be up to 15 cm tall including the stem, and 10 cm wide. The stem is usually a dark purple-black and has a smooth and dry surface. The stems are usually fused at the base. It is typically 1.5 – 2 cm wide and 5 cm long. Its flesh is dark violet and soft so it breaks easily. The Pollyzellus multiplex is an edible mushroom. It is collected for sale in China, Japan, and Korea. 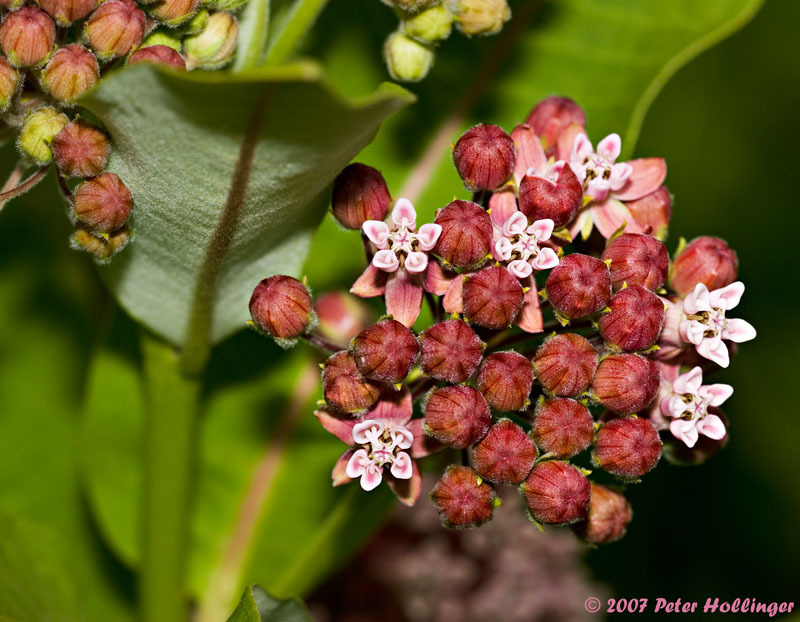 In North America, is it sometimes collected recreationally and commercially. 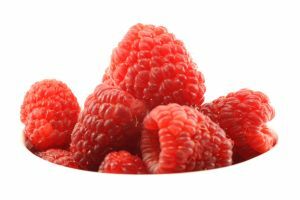 The flavour can be described as mild, and the odour is aromatic or mild. The mushrooms may also be preserved for drying. According to research conducted in 2003, the Polyozellus multiplex may have suppressive effects on stomach cancer. According to the study, using a low concentration of only 0.5 – 1% of the mushroom extract actually enhanced the activities of glutathione S-transferase and superoxide dismutase, and increased the amount of gluthione. It was also found to protect a key tumour suppressor against DNA damage by initiating a sequence of events that led to the damaged cell’s death. Following this, studies in 2004 and 2006 attributed the anti-tumour properties to polyozellin.